Like the majority of the secular inhabitants of our archipelago nation, to me, Good Friday means ‘bank holiday’ and, perhaps, 'uptick in trashy chocolate intake' but little else. However, this past Good Friday proved itself very well-named. After a hurried lunch, Spike and I hopped eagerly into the car and made a bee-line for Shepherd's Bush, buzzing down one of the long sides of the Shepherd's Bush Green triangle, past the Empire and onto Goldhawk Road, making a sharp left at the railway bridge on to the nondescript Wells Road. 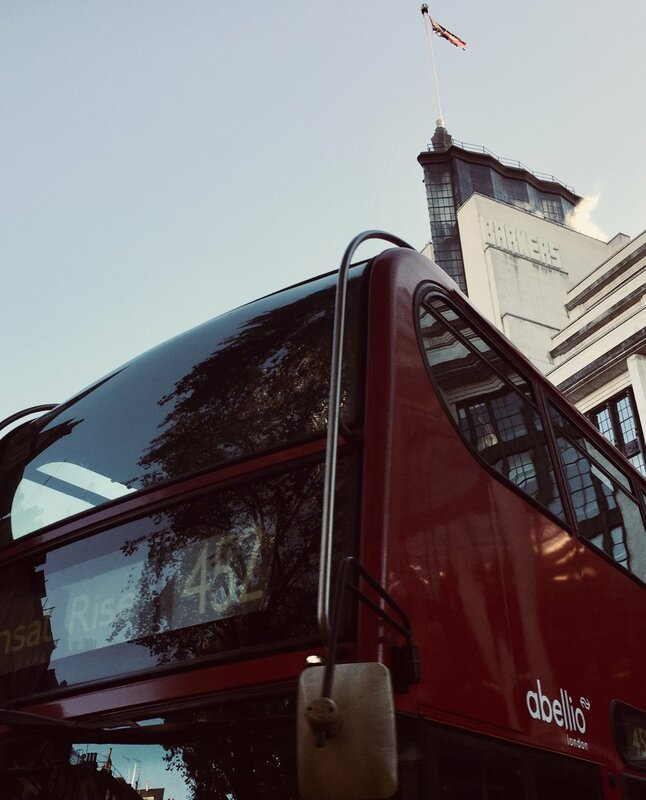 This is the location of London United's Shepherd's Bush Bus Garage and we were there by special invitation of Rob Garrard, Chief Engineer of RATP Dev London (parent company of London United). I should rewind a little. Just before Christmas, I was having my usual moment of gift-angst in relation to Spike. He almost never asks for anything, and it can be difficult to identify things which might please him. That is not to say he is difficult to please. We can step out of our front door, walk 200 metres to the bus stop and make his day, but finding something to wrap and put under the tree is a different matter. And then, out of the blue, he asked for a duvet cover in "bubbles" moquette. "Moquette" for those of you who don't know, is the coarse, velvet-like fabric commonly used to upholster seats on public transport. 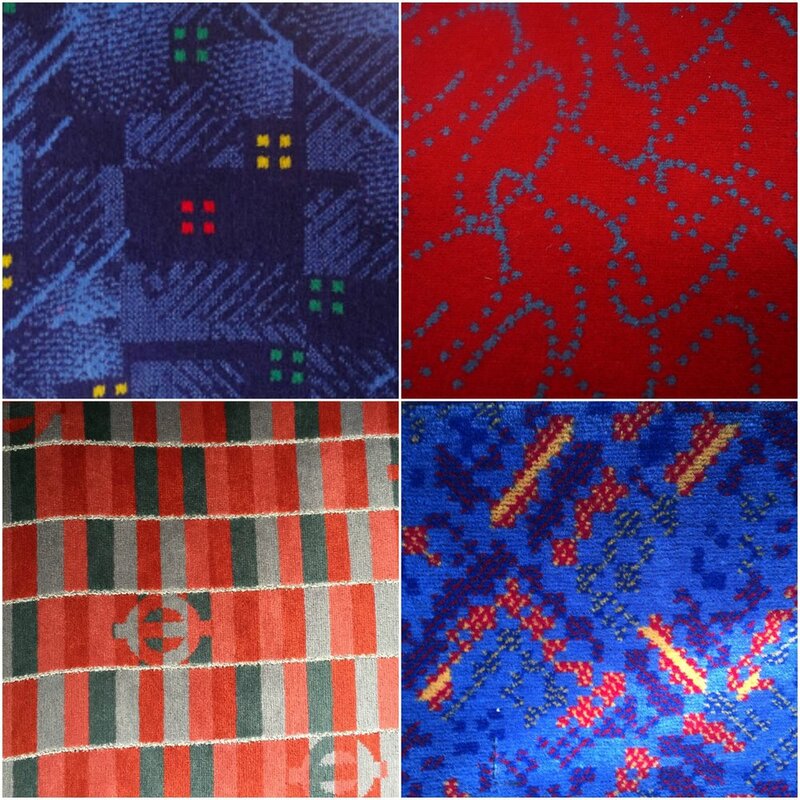 "Bubbles moquette" is a particular design used by the aforementioned London United. I was fairly sure he wanted a duvet cover with the design, rather than one actually constructed from moquette (cosy!) but, regardless, I wasn't going to be able to find one on Amazon. With limited options available to me, I contacted RATP to ask whether it was possible to get a good quality image file of the design, so that I could have a duvet cover printed up. I assumed that bus operating companies had better things to do than concern themselves with unsolicited emails about duvets, so I wasn't holding my breath for a reply. But then The Lovely Rob (as he should be known) got in touch. One very cold day in early March, I sat outside a cafe on the Fulham Palace Road under a thoughtfully-provided blanket, and had a nice phone chat with Rob. When I hung up, he had offered to have a moquette cushion made up for Spike (his interest in duvets having been overtaken by sleeping bags) and had extended a visit to one of the company's bus garages. And, so we got to do something that made Spike very happy indeed! Spike was beaming and bouncing up and down from the moment we stepped out of the car. I hoped it wouldn't be "too much" for him. Sometimes he can be overwhelmed by even very positive things. When Spike was smaller, I remember giving him gifts that he liked so much, he couldn't look at them directly - only squint at them using his peripheral vision. I needn't have worried. His eyes were like lasers, as he drank in the floors slick with diesel and the buses with panels removed, giving up their secrets to him. Rob's tour was well-thought out and interesting, as he showed us everything from the canteen where the drivers ate their pre-shift breakfasts, to the bus wash, to the engineering pits. It was interesting to see what caught Spike's imagination. He was keen to climb down into the pits and see under the buses. He adored fixing a grab pole that had been lying in pieces on a seat, awaiting repair, and could have fixed it on a loop all day. He was bowled over to see the racks of upholstered seats in moquettes old and new. And the very special bespoke moquette cushion went down very well, indeed. It was all we could do to get Spike off it, so we could pack it away in the car! Spike left utterly inspired, wanting to draw all the little details that he had seen and to review the photos and videos that we took. This was an outstanding act of kindness on behalf of the lovely Rob. Rob told me he doesn’t know much about autism, but that he had been touched by the notion that “Spike never asks for anything” and that when he had asked, it was for something slightly impossible. He did it, with no fanfare, purely because he could. Kindness has been on my mind, recently, particularly in the context of transport. I hold, in one hand, Rob’s unexpected act of generosity, but recently I’ve had to grapple with unkindness, too. I take Spike home from school on the bus almost every day. This is undoubtedly the high point of his day, and a decent reward for the difficult task of attending to his learning while ignoring the sensory assaults of the classroom. Like every right-thinking bus rider, we head straight for the top deck and Spike busies himself taking pictures of handles, moquettes and poles. It's difficult not to notice him, as he bounces up and down, enthusing about the passing buses and expressing his excitement through verbal stims which imitate the specific whines and purrs of the bus. I'm always working on teaching him to be a considerate passenger. We have some hard and fast rules, but I don't want to squash his joy or hold him to unreasonable standards. I ask myself, is he louder than that group of tourists, or the woman on the phone. 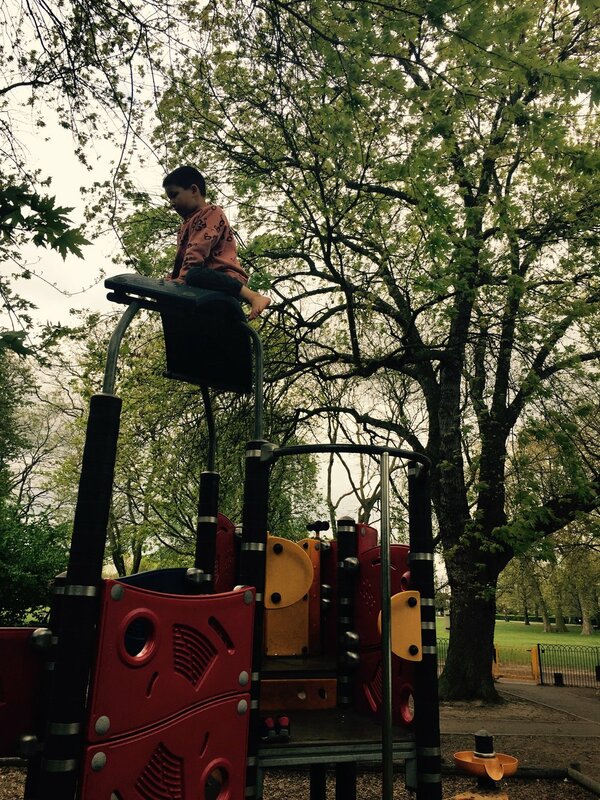 I juggle considerations like ambient noise and how full the bus is, while also ensuring he can be himself. But it's difficult - if he stands out, he becomes vulnerable. This is a new arena for me, as Spike ages out of that protective 'little kid' bubble, which forgives idiosyncratic behaviour in public. When Spike copies the bus noise under his breath, or photographs a stop button, he is not hurting anyone. He should not have to change his behaviour and conform for the sake of it, but we live in an imperfect world. On our journey home, we are typically accompanied by groups of teenagers from the local secondary school and, on an almost daily basis, they mimic Spike's noises, snigger and talk about him unkindly in over-loud voices. Spike does not react, or show any unease, but he's smart and I need to assume it doesn't go wholly unnoticed. I wrote about a similar, though more isolated incident of meanness here, where I struggled to find the right words to let the individuals know they were being hurtful and needed to try harder. It upset me that I didn't turn that situation around and I told myself I wouldn't let that happen again. And so, I engage with these teenagers on the bus and it works, to an extent. I stand up and say "be kind". On one notable occasion, my words cut through Spike's bus-bliss and he turned around and said "Who are they?". "I don't know, you'd have to ask them", I responded. Spike addresses his question to them, "Who are you?" and five teenage boys scuff their feet and sheepishly volunteer their names. "What's your name? ", one of the boys asks. "I'm Spike! ", my son replies cheerfully. "Hi, Spike", they chorus. And from then on, I heard only idle chatter in the familiar dialect common to adolescents around these parts. It turns out that saying “Be kind” is sometimes enough. They were kids, too, those boys on the bus. By definition, they are immature and do not always comprehend the impact their words and actions have on vulnerable people. I believe the solution to this is, in great part, education. I wrote to their school and let them know what had been happening on the bus. I asked them not to draw attention to us, specifically, but to consider whether (as this was not an isolated incident) there was a need for further education in this area. To their credit, I got a response from the deputy head apologising and informing me that he would personally be re-writing their PSHE curriculum to include special educational needs and disabilities, with the aim of giving their students "a greater appreciation of the variation of the human condition". I can't imagine it will be a magic bullet, but it's something. I am so glad that transport is Spike's passion. As I become more connected to both the transport industry and the many and varied appreciators and enthusiasts who orbit it, I can see that Spike might find community there. It is a group of people who share his interest, who appreciate a single-minded focus on technical details and revel in the rich diversity of mass transit. Transport connects, in more ways than one. This was one of the thoughts that lead me to try and formalise a community for Spike, by setting up Transport Sparks. As Ben and I shepherd Spike around our lovely city, in search of a hubodometer on an Enviro 200 or a particular type of cooling fan, it occurred to me that there were probably hundreds of other parents and children doing something similar, and yet we were passing like N31s in the night. On the spur of a moment, I tweeted "Anyone in Greater London with awesome transport-obsessed autistic kids: do you fancy a social-club-network type thing? If so, get in touch! #autism". With the help of a re-tweet from the inimitable Geoff Marshall, word spread and soon it was clear that there was a demand for a "socal-club-network type thing" for young autistic transport enthusiasts. I promptly came up with a name, set up a Facebook group and Ta-Da! Transport Sparks! We are still establishing ourselves, but there are trips and visits in the works for our young Sparks and we are all getting to know each other. We have acquired nearly 350 members in a month and the group is tremendously active. I have been staggered by the levels of interest from the transport industry and adult enthusiasts, who have demonstrated yet more kindness, reaching out to see how they can assist. And within the group, people are stepping up and helping. They are taking the initiative, making the most of their contacts, sharing ideas and resources and supporting each other. 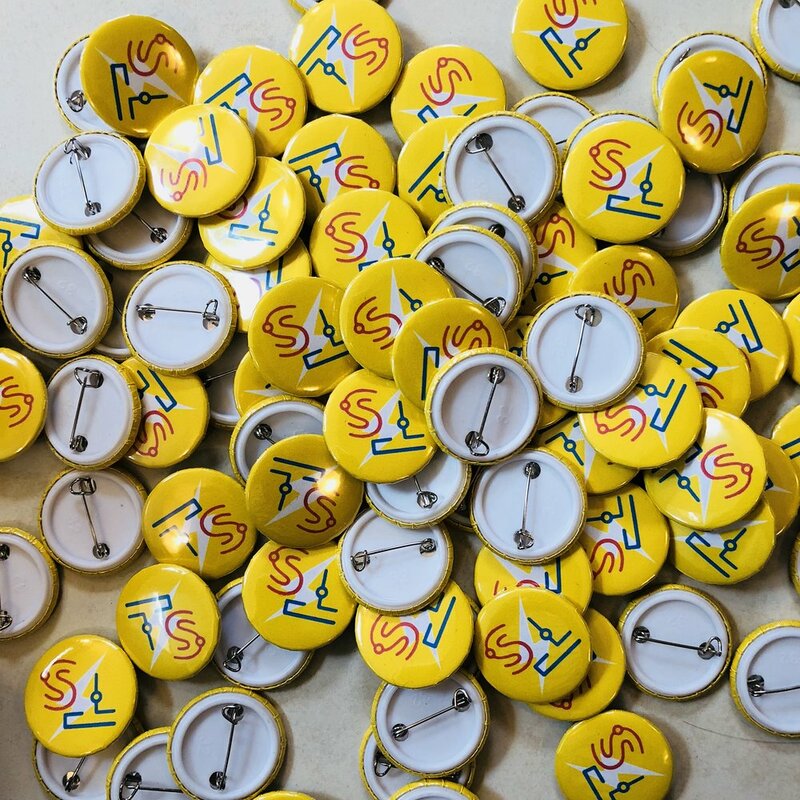 We have a badge that, I hope, will enable us to spot and connect with each other when out and about. I hope Spike, and all the other unique, wonderful Sparks find it a source of fun and companionship. Want to read more? Where now we have Bus Bliss, there was once Rail Love. I'm under-slept. I don't remember switching off my alarm, but I must have done. I narrowly avoided sleeping through the school run. Luckily, I was too tired to close the shutters properly last night, so the daylight prodded my eyelids and I woke up just a little late. Despite my brain fog, I have spent the entirety of the school day, and the day or two prior, writing a draft of Spike's Education, Health and Care Plan (EHCP). If you don't know what one of these is - LUCKY YOU. The amount of admin involved in securing the right support for children with extra needs can be overwhelming. And I used to be a professional form filler*. God knows what it must be like for someone who struggles with literacy, or who is already burning the candle at both ends. Thankfully, there are less of the endless appointments with this clinic, or that professional these days, but the paperwork is endless. Anyway, the EHCP is still not finished and I proffer that as an excuse for the brevity of today's blog. I took 10 minutes out of my day to watch the first episode of "Pablo" on CBeebies. It's a ten minute show, mixing live action and animation to tell the story of 5 year old Pablo, who is autistic. When things in real life makes him anxious or upset, he retreats into an animated world to process what is going on. I confess I emitted a little sigh when I heard there was going to be a whole series centring on an autistic character. Movies, TV and literature do not have a great track record when it comes to depicting autism. I'm struggling to think of any that have really worked for me, with the exception of the introduction of sweet Julia to "Sesame Street". Perhaps Julia was a sign that television for young children is the wellspring of positive change in this area. So, "Pablo"? It's great! Really, really good. The series was developed with autistic consultants, and it shows. I have only seen the first episode, but the general thrust seems to be that Pablo encounters an everyday situation which he struggles with, and then enters an animated, illustrated world to try and unravel what is going on. In "The Purple Bird", Pablo and his mum get dressed up to go to a wedding, but the unusual clothes trigger "visual fragmentation". Pablo cannot see his mum as a whole, just the unusual purple details of her attire. Convinced that she has been replaced by a purple bird, Pablo seeks answers in Art World. Art World is populated by some very sweet characters. I'm sure their specific personalities will develop as the series proceeds. There is Wren (an excitable and flappy bird), Mouse (an order-loving, shy mouse), Tang (a clumsy and boisterous orangutan), Draff (a knowledgable giraffe), Llama (an echolalic llama), and Noa (an anxious, green dinosaur). The animated characters are representations of certain facets of Pablo's personality, including his autistic traits. It's a stroke of genius and avoids a very common problem which arises when representing an autistic person. There is a phrase "If you’ve met one person with autism, you’ve met one person with autism." There are manifold ways that autism can present and by clearly defining one individual, you run the risk of excluding the experience of others. Ordinarily, painting a singular experience is a perfectly valid expression of whatever art form you are working in, but the autistic experience is so rarely shown, that it can become, unwittingly, representative of the whole (cf. "Rain Man"). By unknitting autism and allowing individual characters to pick up individual threads, the programme opens up. It becomes inclusive, instead of closing down the autistic experience to one narrow phenotype. There were lots of little details that I loved and recognised. Mouse speaking in the third-person (pronoun confusion), Noa flushing the toilet and giggling (sensory seeking), Draff repeating "In point of fact" (scripting). It's all so humanely done, and with wit and creativity. The live action sequences are not as engaging as the illustrated world, but they seem a fair depiction of certain autistic experiences. I expect they were hamstrung more by budget than imagination. It rings true, at least. Overall, I am quite content for Pablo to introduce autism to CBeebies' young audience. It's not perfect, but it's trying hard and succeeds on many fronts. I have a shelf full of crap "Your Friend is Autistic! "-type books which I wouldn't show to my dog (I don't have one). I am happy that "Pablo" is not crap at all. I like that is has chosen to focus on the experience of autism and, as a result does a solid job of providing genuine insight. In fact, it partners quite nicely with Sesame Street, which has taken a more "explainy" route with their autistic character. They could have worked a bit harder on the dreary theme tune, though. At the time of writing there are three episodes available to watch on BBC iPlayer. He breathes in a familiar rhythm, sucking in air over his teeth. His speech pattern dips in and out of the smooth, staccato tones of a station announcer. A litany of station names, ordered, correct, slip from his lips in a conversational lull. He discriminates a train by the acoustic fingerprint it sends shuddering down the tracks, before it heaves into sight*. I get asked a lot why Spike likes trains, and the honest answer is "I don't know." It's not a question he has an answer for. I can only speculate based on the evidence before me. Trains are never more than a neuronal flash from his uppermost thoughts. I would not be the slightest bit surprised if an MRI or CT scan revealed that his neurological pathways had aligned themselves along the routes sketched out in Harry Beck's famous map. Trains are the lens though which Spike processes events and describes his experiences. Those with a passing knowledge of the highways and byways of the British rail network, will find themselves able to communicate with Spike more deeply and effectively. And if you are short of such knowledge, you will accumulate it quickly in his presence. Today, Spike was enjoying a rare doughnut and said "I'm eating '325 food!'". Me: "Why is it a '325 food'?" S: "325 is an odd number!" Me: "Are odd numbers good?" S: "Yes. And you can see class 325 trains on the West Coast Mainline. I looooovvveee icing." Me: "Icing is the best!" Later in the day, when returning from a train expedition (naturally), I was reminiscing about Spike's babyhood and mentioned that he was born in 2009. "I'm 2009 stock! ", he replied. Part boy-part train. I do know that Spike's passion for trains is not inspired by the romance of the railways. There is no nostalgic pang drawing him to the burnished, sooty engines that used to haul themselves from city to city. His first Rail Love was the electric cars of the London Underground, quickly followed by their dirty diesel mainline brethren. Spike remembers every detail and the emotional punch of each journey taken, but he is not wistful about the memory or potential of journeys by rail. His is a different type of remembering. He is a young boy, of course. The nostalgia will come. Threads of it are appearing already. This year saw the last of London Underground's fleet of D-stock trains put out to pasture. Their single-leaf doors will no longer stem the flow of commuters along the District line. They are sorely missed by Spike. I think logos were where it started. They were how Spike started to make sense of the wider world beyond our home and street. While we bemoan the ubiquity of the high street, the spread eagle of Barclays Bank plc and the Santander flame (and many others), cut through the roar of the traffic, the thrum of conversation, the bleep of pedestrian crossings. They made him feel safe. It didn't take long for the iconic roundel of the London Underground to creep into Spike's consciousness. The segue from logos to trains was slow, steady and inevitable - but never completed. The design language of the London Underground and wider rail network is chief among Spike's railway pleasures. He fills entire notebooks and significant amounts of RAM with carefully-drawn liveries, logos, route and transit maps, coupling mechanisms, and interchange infographics. Spike doesn't yet have much of a completist or collecting bent to his passion. He isn't noting down numbers. So he is perhaps more of a "rail enthusiast" than a "trainspotter". He is like a bird watcher, simply enjoying the variety of bird life, rather than a list-building "twitcher". Timetables hold little interest, either. But perhaps those aspects will come. 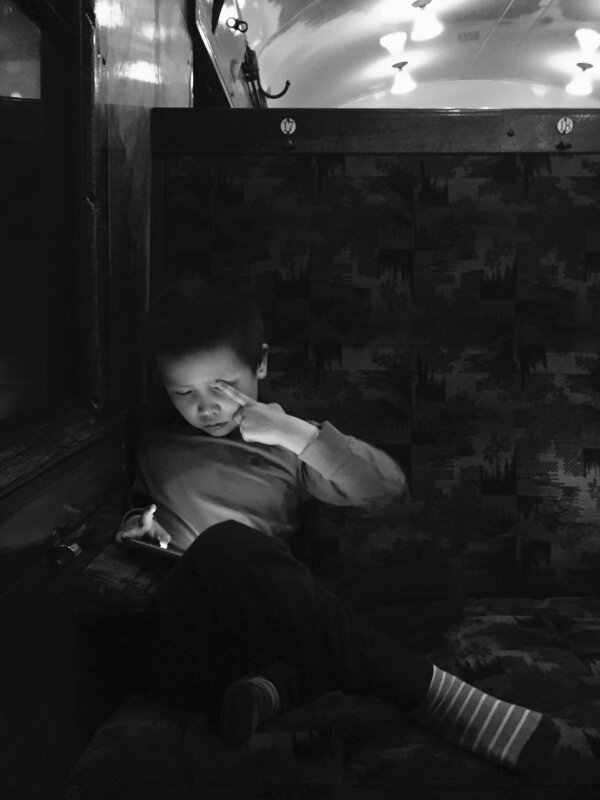 Spike's relationship with trains seems visceral, forged over repeated deep body experiences of travelling by train. 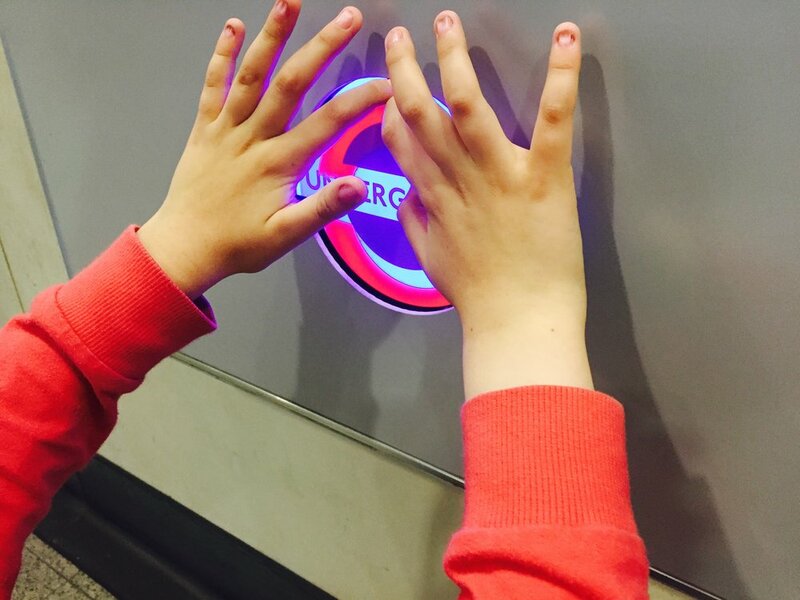 All rail travel, but particularly travel on the London Underground is akin to an immersive sensory event. 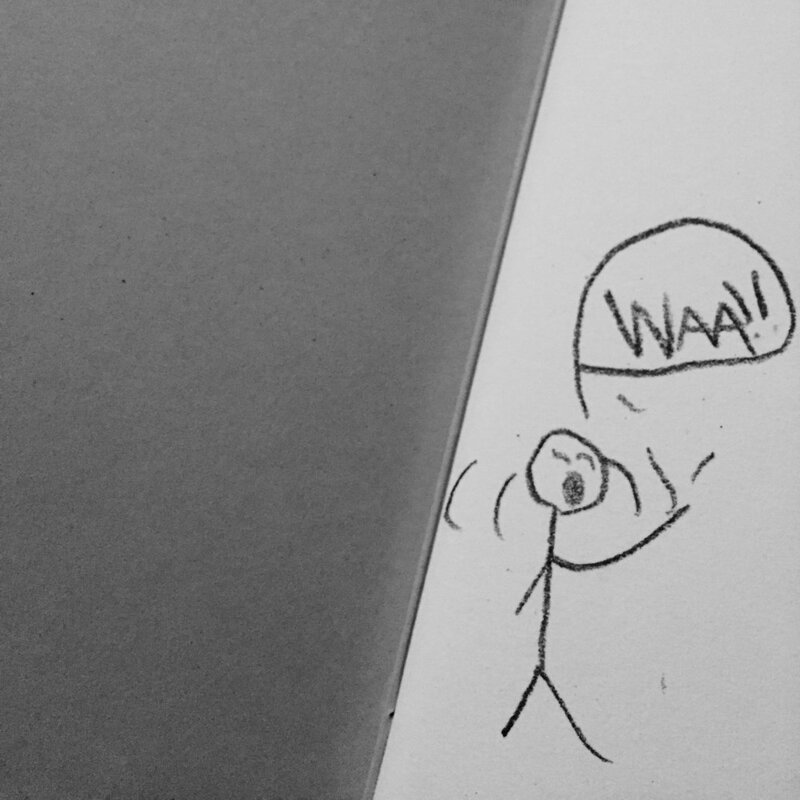 Constant announcements in the weird cadence of public address, the bleep of doors closing, the rumble-then-squeal of approaching trains, the visual cacophany of cautionary and directional signage, and adverts greedy for your attention. The warm metallic tang of turbulent dust. The hungover fever dream patterns of the moquette and mock-terrazzo rubber floors. The thrum and vibration and knocking and barging. City dwellers may be inured to the sensory assault, but I am constantly surprised that Spike can tolerate trains at all. Despite his highly attuned senses, I think the predictability of the environment and operation of the rail network is what makes it tolerable - enjoyable, actually - for Spike. He also has a prodigious memory, absorbing the minutiae of railways wholesale into his brain. Consequently, he gets railways. He understands them. This can be helpful. Recently, when we took the boys away for a weekend break, Spike was unhappy in our holiday accommodation. For respite, we took him to the local railway station where everything is familiar to him. From my own experience, even overseas, railways are reassuringly equivalent. In Japan, where I have never felt so abroad, the station-city of Tokyo was navigable and understandable once the initial overwhelm ebbed away. As you can imagine, we spend a lot of time on the London Underground and Overground. Typically, Ben or I will take Spike on at least one or two journeys each weekend, or at the very least, to some vantage point where he can watch trains. We do it because it is his passion, but also because it rebalances him. It smooths out the jags on his internal equalizer and leaves him calm and resilient. The journeys are always of Spike's choosing. There is usually a reason why he wants to visit a particular station or a theme underpinning his route choice. He might want to travel the length of the Bakerloo line, or visit all the stations which interchange with River Boat services, or copy a journey he has seen on YouTube. Sometimes the reasons are transparent, sometimes they are not. He frequently wanted to take a journey which took him on all the London Underground lines, except the Jubilee line. "What's wrong with the Jubilee line?" we would ask, but no answer was forthcoming. We are used to these obtuse puzzles, but I confess to committing a lot of mental energy to this one. Why all the lines, but one? It's aggravating because There is Always a Reason. And then one day, after school, Spike requested this journey again and I asked the usual question. Miraculously, he gave an answer: "Because the Jubilee line is the only line with no 'Extras and Outtakes' on my 'Secrets of the Underground' DVD." Oh. When we first started taking these journeys with Spike, they felt frustratingly aimless for this non-train lover, but over time I have come to enjoy them. The principle reason for this is the obvious joy that Spike experiences. And it is actual joy. Not happiness or pleasure, but "intense and especially ecstatic or exultant happiness". It radiates from him as we fly along the fast bits of the Met line, or when he is buffeted by the turbulence of a fast mainline train passing the platform at Harrow & Wealdstone, or when the unfailingly sweet drivers allow him to sit (or on one notable, probably highly illegal occasion, ride) in the cab. The joy is infectious and we have all caught Rail Love. * Perhaps he can hear their trainsong? If you're a fan of young adult literature and haven't read Philip Reeve's "Railhead" series - fix that. ** Geoff and the lovely Vicki Pipe (as I can't help referring to her in my head) are currently visiting all 2,563 stations on the British rail network. At the time of writing they have 97 stations to go! Follow their adventures, here. Want to read more? The different ways my family speak.